A Studio education is more than the sum of its parts. You will do projects and develop a digital portfolio to showcase your emerging skills that will equip you to create new waves of technology. You will have first rate support from a team of trained coaches and a group of teachers who are experts in their field, giving you incredible opportunities to grow, develop and challenge yourself to be the very best you can be. You will forge excellent relationships with your teachers and you will make friends and future business partners as you start to grow your professional network. We hope, as your professional success grows, that you will return to us as mentors and partners. Please think about your options carefully, because choosing the right course is key to your success. 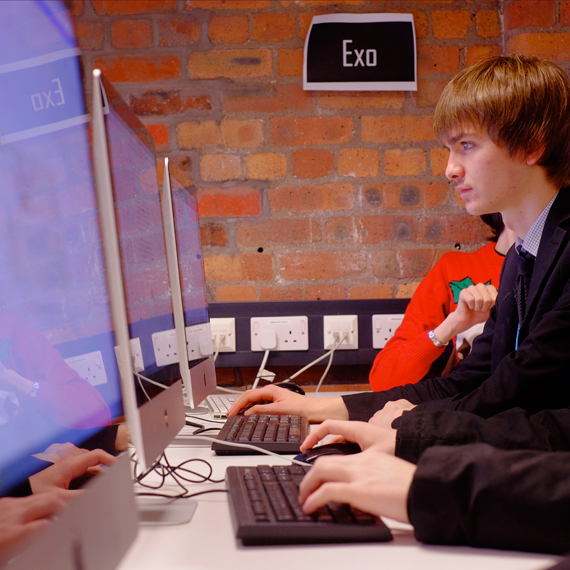 Don’t necessarily choose your strongest GCSE subjects; but look also at the range of new courses we offer. Explore your strengths carefully and build on these and plan backwards from your ideal university course or career. Your coach will work closely with you and your parents to make sure you opt for the best combination of subjects to help you achieve your dreams. And, if you’re unsure about your future goals, we can advise you on how best to keep your options open and find out what really inspires you. We also offer our students a variety of project-based learning, placements and masterclasses, so you get a real taste for the jobs and environments that you’re passionate about.